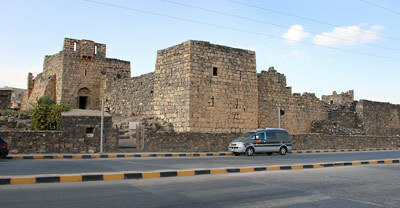 Qusayr Amra was probably built between 730 - 740 AD, commissioned by Prince Walid Ibn Yazid, the future Umayyad caliph Walid II (who reigned only 743-744). 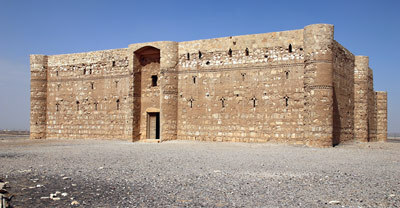 Located beside the Wadi Butum, a seasonal watercourse, this desert establishment was both a fortress with a garrison and a residence/pleasure palace that comprises a reception hall and hammam (a bath complex with changing room, warm and hot rooms), all richly decorated with figurative murals. The extensive fresco paintings of the bath building and reception hall are unique for Islamic architecture of the Umayyad period. The wall paintings depict bathing scenes, hunting scenes, Byzantine style portraits, crafts and trades, animals, among other motifs, and are accompanied by inscriptions in Greek and Arabic. The representation of the zodiac on the domed ceiling of the caldarium (hot room) is one of the earliest known surviving portrayals of a map of the heavens on a dome. 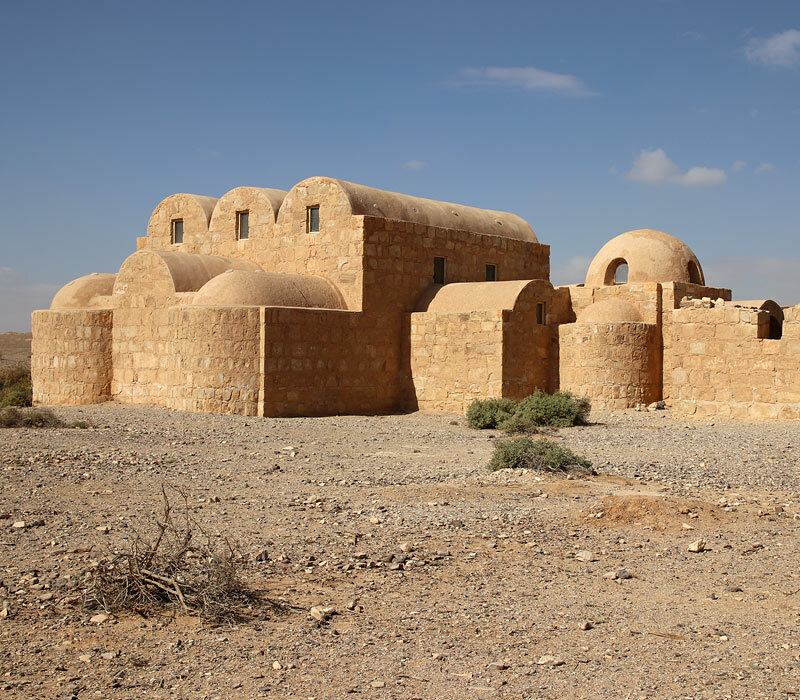 Together with the remains of the fort/garrison buildings several hundred metres to the north and traces of agricultural water catchment works, the fresco-painted building with an adjacent well, tank and water-lifting hydraulic system, drainage pipes and cesspool represent an outstanding example of an Umayyad desert establishment. In 1985 Qusayr Amra was declared UNESCO World Heritage Site. See many details of the fascinating frescos and get more information in the photo tour.